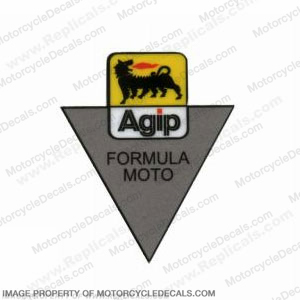 Ducati Agip Formula Moto Tank Decal. Measures approx. 1.85" Tall. *All decals are printed on the highest quality 3M vinyl and then laminated with a layer of 3M protective UV vinyl. This ensures long life and protection from the sun and salt water as well as gasoline and other chemicals. After these decals are installed they can be sprayed with automotive clear laquer for additional protection. MADE IN USA! 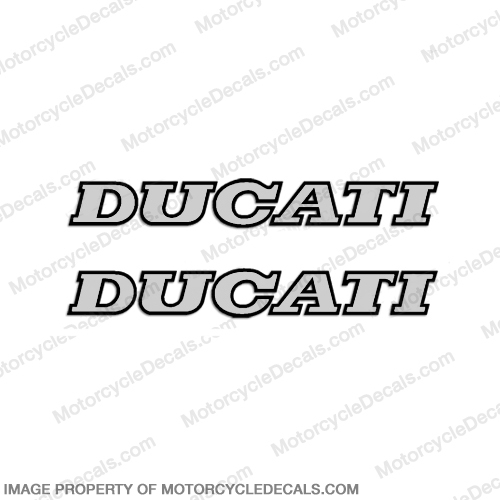 - Reproduction Decal Kit.- (2) 10" x 1.25" Ducati Decals.- Made from 3M brand vinyl and laminate.- High quality long lasting decals.- 30 Day Money Back Guarantee!- Same day shipping on most orders! We specialize in aftermarket reproductions of discontinued or hard to find decals. 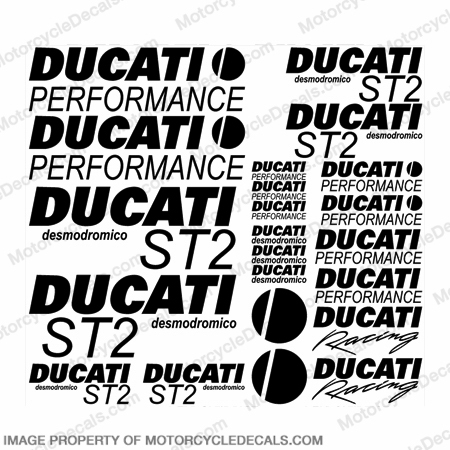 Ducati ST2 desmodromico Decal Kit - Any Color!